People are pinning holiday pics all day long and it is nearly Spring 2012. 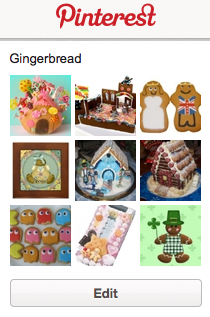 Well, being the Gingerbread fanatic I am, I have started my Gingerbread Pinterest board and am having so much fun. Do you all have a Gingerbread Pinterest board?